As much as I love living in Tasmania, it is good to step onto the mainland every now and again for a fresh perspective. I go a bit stir crazy if I haven't crossed Bass Strait in a while, and after our recent trip to Sydney I'm feeling thoroughly inspired. One highlight was a visit to the Penrith Regional Gallery to have lunch with friends. What started life as a grand farmhouse then became home to Margo and Gerald Lewers, is now a contemporary, super kid friendly gallery set in lush green gardens with a cafe serving the most delicious food. 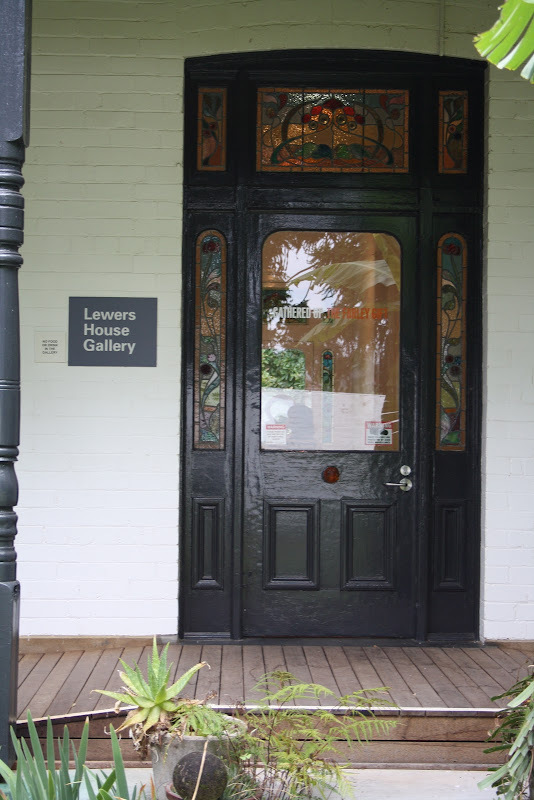 Throughout the 1950s and 1960s the Lewers' home, with its beautiful gardens, architecture, artworks and creative environment, was known as a place of style, innovation and hospitality. You can read more about their amazing life here. I can't help feel inspired after our visit and I have lots of ideas for our own home for the garden, the studio space and the veggie patch.Yes, it's good to be home, but now there's work to do. Pass me a paintbrush please. Wow! I live just around the corner from Lewers. What a lovely place it is! I love that about going away, you seem to come home so inspired. Love it. Hope you are well and you are all happy and safe. As always your pictures look refreshing and blissful! sounds like a refreshing break that you needed. happy for you. xo m.
You're truly a local now that you refer to the big island as the "mainland"! Will keep the gallery in mind next time I head to Sydney. It's always nice to come home to Tasmania though! Love the children's studio. I believe all children are artists. Some are told they can't do things. The gallery at Armidale NSW(NERAM) has a great little corner in one of the galleries set up for little artists to draw. It's so lovely and also has great view over the garden.